Is your home defenseless against the bitter cold of winter or the harsh glare of the sun? Are you losing heat or cooled air due to aging, drafty windows? 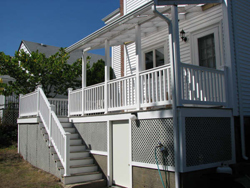 Well, now you can protect your property from constant exposure to the elements and save on the rising cost of energy with top-quality siding installation or window replacement from Northshore Window and Siding. In the Boston area, the name Northshore has been synonymous with first-rate exterior siding and replacement windows for more than 25 years. If you’re looking for door, window, or siding contractor services that are truly second to none, give us a call today or reach us by e-mail. As a certified Five Star Contractor and Building Solutions Specialist with CertainTeed, Northshore Window and Siding has the training and track record to take your home from humdrum to head turning. In addition to our two plus decades of hands-on experience in the field, we’ve kept our skills sharp and our knowledge current by participating in the continuing education programs of CertainTeed, a prominent North American building products manufacturer. Our door, window, and siding contractors are also fully licensed and insured for your complete peace of mind, as well as certified by the Vinyl Siding Institute (VSI), a leading industry trade association. With Northshore Window and Siding, you’ll never have to worry about shoddy workmanship or mediocre service getting in the way of your home improvement project. Our dedicated window and siding contractors are as skilled at communication and customer relations as they are at precision handiwork. In fact, from the moment we arrive at your door to the very last finishing touch, we’ll take the time to keep you posted on the progress of your siding installation, exterior replacement door, or window replacement. We’ll even remove any unwanted materials from the job site and clean up when we’re done. At Northshore Window and Siding, your total satisfaction is our number-one goal, no matter what type of home improvement project you have in mind. 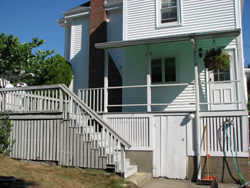 So let us use our decades of experience to shield and insulate your Boston-area home with high-tech, durable siding, windows, and doors. For top-notch door and window replacement, as well as siding installation and repair, all you have to do is pick up the phone and call! Northshore Window and Siding is a proud member of the Better Business Bureau.